Gold In The Toilet Or Chemical Leak? – footsteps……..
Posted on Facebook this evening was two contradicting news regarding the same incident. Its not a big hu hah, but create a confusion of the truth of our news report. Malaysians had been served for years with “tempered” political news over our mainstream media, TV and radio. Thanks to the internet that we get to read more reliable news and many of which are fresh from the farm and untempered. 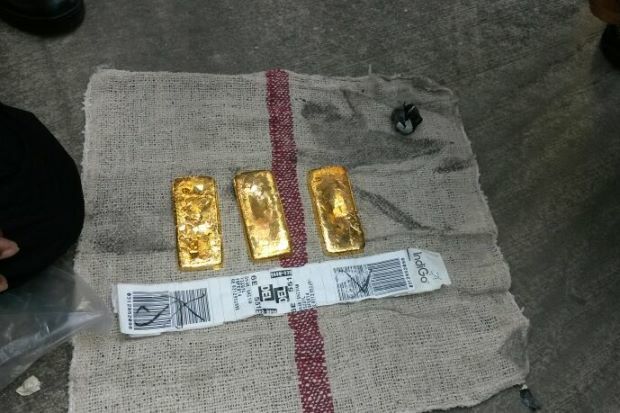 A flight from Changi en route to Madras made an emergency landing at KLIA after it was reported that a mysterious package was found in the aircraft’s toilet, which turn out to be gold bars. That was reported in The Star online. The Star report poted on, Thursday February 13, 2014 MYT 2:53:29 PM posted ; KUALA LUMPUR: An Indian budget airline flight from Singapore carrying 145 people was forced to make an emergency landing at the Kuala Lumpur International Airport (KLIA) at 7.30am Thursday, after a crew member found a package in the plane’s toilet. 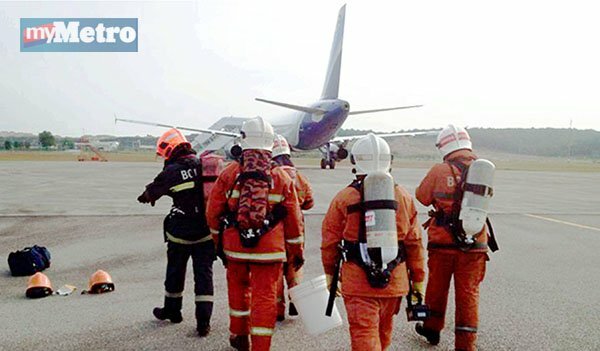 However, a Fire and Rescue team, which inspected the package after the IndiGo aircraft landed, found that it contained just three gold bars, weighing less than 1kg. The attached photo below. Gold Bar found in a mystery package on Indigo Air’s toilet. PUTRAJAYA: Pesawat syarikat penerbangan Indigo yang melakukan pendaratan cemas di Lapangan Terbang Antarabangsa Kuala Lumpur (KLIA) pagi tadi disahkan selamat daripada sebarang kebocoran bahan kimia. Pemangku Ketua Polis Daerah Sepang Zaldino Zaludin berkata, pihak bomba dan penyelamat menamatkan operasi pemeriksaan pesawat jam 10 pagi tadi selepas mendapati pesawat itu selamat dari sebarang kebocoran.